To coincide with open access week, the Knowledge Management and Communications unit at CTA held an expert consultation on the future of agricultural knowledge resource centres in ACP regions, under the theme ‘’what can we achieve together’’?. The expert consultation aimed to bring together partners from the ACP to build a stronger, better connected network of institutions working in agricultural knowledge resource centres, who also serve as a central point of reference for research in ARD. The Technical Centre for Agricultural and Rural Cooperation (CTA) has a long tradition of supporting ACP agricultural and rural development institutions to improve management of their information and communication processes, and is now engaging ACP institutions to support integrated knowledge management both at organisational level and within their networks. The CTA is collaborating with various international partner organisations, networks and communities of practice in the field of knowledge management to achieve these objectives. The challenge is now to better understand how the convergence of technologies, services and channels, as well as the increased mobility of the stakeholders will influence the provision of services by the future agricultural knowledge resource centres (KRC). Such an exercise will require taking stock of the current trends, the potential solutions offered by new technologies and collective reflection on how the future agricultural KRC functions to address the evolving scenarios for the future. In preparation for this meeting, CTA commissioned a desk research to provide a review of the changes and current trends in the field of agricultural library and documentation centre management and their services. The study looks at ways in which the traditional users and beneficiaries seek information, and propose means through which the institution can adopt an integrated design for provision of information and knowledge management. This study is also accompanied by a survey of agricultural libraries and documentation centres carried out in collaboration with the FAO Regional Office for Africa and the IAALD Africa Chapter, these studies will provide a backdrop to the consultation. 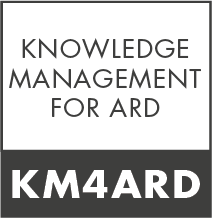 Advances in Information & Communication Technologies that apply to the field of knowledge management point towards the need to make information more accessible, available and applicable in the field and when required. Such advances include improved access to internet through mobile services, open access and open data policies being encouraged by governments and international donor organisations, evolution of inter-interoperability standards for human and machine readable contents, the semantic web, advances in shared cloud hosting technology, the move for libraries and documentation centres to externalize their services to their clients. Meanwhile, there is renewed interest in agricultural research and development, extension and engagement of farmer organisations in policy processes as well as value chains development. CTA will host this exercise by inviting its partners involved across the diversity of disciplines, technologies, tools and approaches to a joint consultative meeting to brainstorm on how the future agricultural knowledge resource centre in the ACP regions will facilitate knowledge management processes. Through the Expert consultation, CTA hopes to be able to identify clear areas of interventions in the field of information, communications and knowledge management in ACP regions, in collaboration with its partners. Traditionally, libraries and documentation centres were considered to be the principal sources of knowledge within organisations. However, the concepts of where information and knowledge lies has evolved with time and ICTs, especially, have made it accessible from various locations and in different forms. Thus, concepts like Telecentres, community centres, rural advisory services, the community knowledge worker, web-based information portals, mobile apps, cloud technology and semantic web have changed and continue to change the way in which we access knowledge resource centres, both physical and virtual. CTA has been involved in supporting both types and finds itself increasingly involved with electronic means of information management and communication. Meanwhile, it is also faced with reduction in resources that go into supporting printed materials, while being aware that a large proportion of the rural population in ACP regions still do not have adequate access to ICT-mediated means of communication. One of the challenges faced now is to support the transition of the traditional knowledge resource centre into a new form adapted to the new social and ICT environment, and helping them maintain linkages with their stakeholders. While the context of provision of information and knowledge services has been changing through organizational and technological developments, the user and beneficiary communities have also been undergoing changes of their own. Since the food price crisis, there has been greater interest in involving smallholder farmers in various aspects of agricultural and rural development, namely on policy development and value chains development. Furthermore, more efforts have been made to engage with them through innovation platforms, re-styled extension and advisory services, and by strengthening the capacity of farmer organizations to contribute on policy debates. CTA has also identified these as key intervention areas in its current strategic plan. Throughout these processes, the aim of CTA has been to identify good practices that could be replicated elsewhere in the ACP regions.